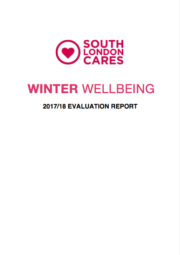 For the fourth year running, South London Cares has delivered our ambitious Winter Wellbeing project – a pro-active outreach effort to help our older neighbours in Southwark and Lambeth stay warm, active, healthy and connected during the most isolating time of year. Read the report to find out how we did it, the results and recommendations for future projects. 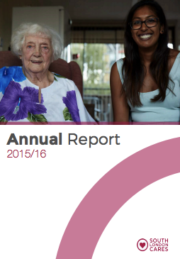 We're chuffed to to present South London Cares' third Annual Report. Delivery figures in this report cover the period January 1st 2017 to December 31st 2017. Financial figures cover our accounting year from September 1st 2016 to August 31st 2017 as submitted in our latest annual accounts. 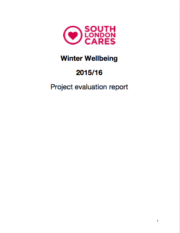 South London Cares' Winter Wellbeing project 2016/17 was the third such project we've delivered, and the biggest yet. The project helps older neighbours stay warm, active, healthy and connected during the most isolating time of year and has become a mainstay of community outreach. Download the report with the results, impact case studies and more. 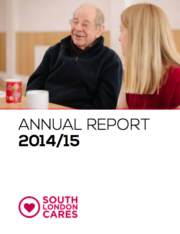 We're really proud to present South London Cares' second Annual Report. Delivery figures in this report cover the period January 1 2016 to December 31 2016, whilst finance figures cover the accounting year September 1 2015 to August 31 2016 as submitted in our latest annual accounts. 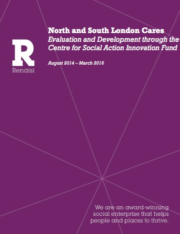 After nearly two years' work, South London Cares full length evaluation, funded by the Cabinet Office and Nesta through their Centre for Social Action Innovation Fund, and undertaken by the social researchers Renaisi, contains data, case studies and further information about the Cares Family model and the impact of our work on older and younger neighbours and their loneliness and wellbeing. 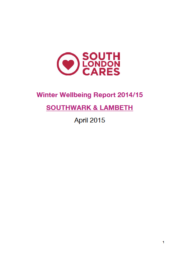 South London Cares' Winter Wellbeing project 2015/16 was the second of its kind with lots of important developments. The project helps older neighbours stay warm, active, healthy and connected during the coldest and most isolating months of the year. Read the report with the results, case studies and recommendations for the future. 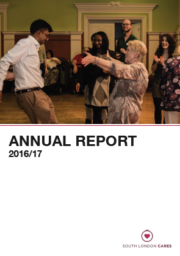 This is South London Cares' very first Annual Report. The 28-page report covers the period from our opening in August 2014 to the end of December 2015, and the two financial periods within those 16 months. 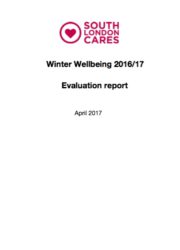 Our 2014/2015 Winter Wellbeing project mobilised young people to help their older neighbours in Southwark and Lambeth to stay warm, active and connected during the most isolating time of the year. Read the full report about our first project of this kind within Southwark and Lambeth. This includes detail on why and how we did it, as well as some evaluation on how we can make an even bigger difference in future years.